Also written as 7 Mary 3 or 7M3. These hard rockers from Williamsburg, Virginia play agreeable post grunge music. 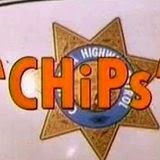 In the seventies of the last century a series ran on American television called CHiPS. In the 139 episodes spread over in total six seasons the experiences of two motorcycle cops found their way into the homes of the viewers, officers Francis 'Ponch' Poncherello and Jonathan 'Jon' Baker. When the troopers used their mobile radios, they identified themselves with their code name. The code name of Jon was Seven Mary Three, 'Ponch' had Seven Mary Four. A somewhat ironic note: actor Larry Wilcox who played the role of 'Jon' in CHiPS was convicted of fraud early 2011; he was sentenced to 500 hours community service and a one hundred dollar fine.